Fitting hinges to the rear hatches was one of the first jobs completed but it was not until now were any latches fitted. 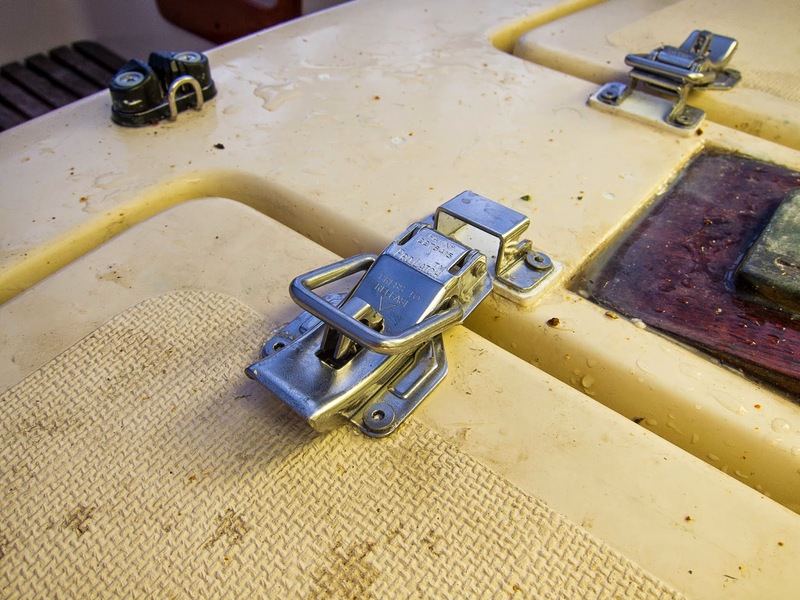 This secures the hatches down when on the water, the latches also provide a handle for easier opening. They were obtained from www.protex.com, easy to order and pay via paypal. There is a considerable range to choose from, these come from their ProLatch range. 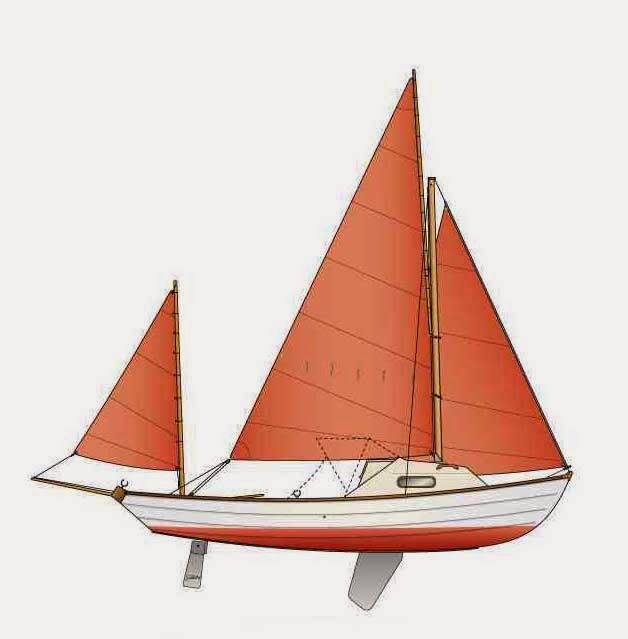 There are detail drawings on the Protex website, so it is easy to check for any location. 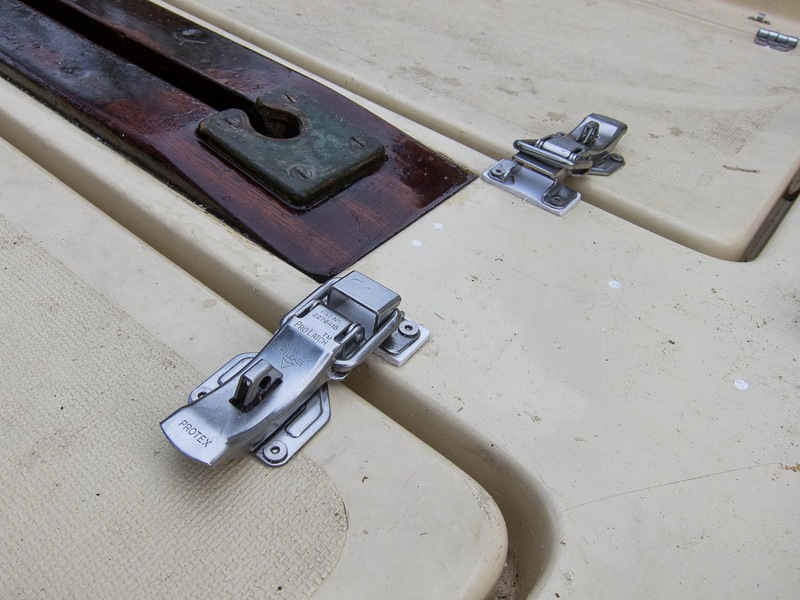 It was necessary to raise the catch plates using some 3mm thick plastic and also to cut away the lip of the opening, to clear the nuts and washers from the actual latches, enabling the hatch to fully close. With the hinges and latches now fitted the boat is certainly more secure to rough weather. 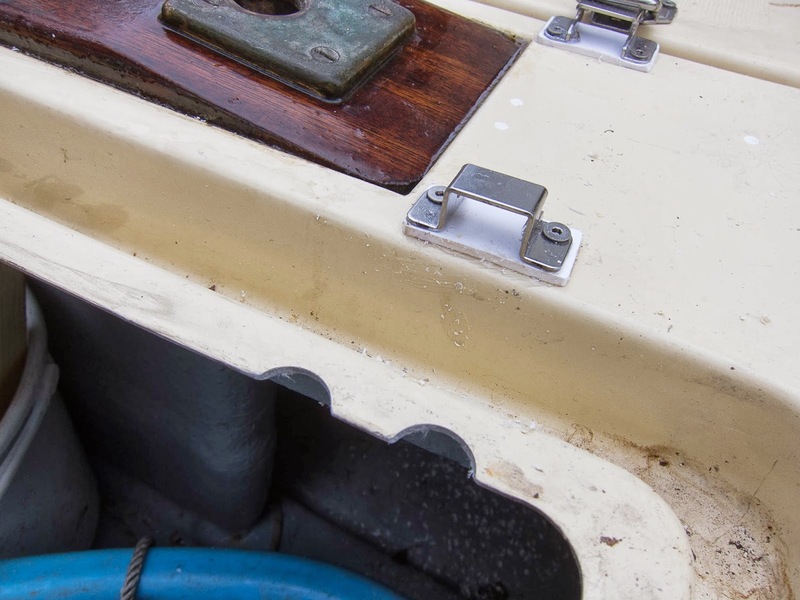 There seems little point in adding a rubber seal on the hatches, as if the boat becomes swamped to that point, then the situation is very serious and a good VHF radio will be the most useful piece of equipment. Having now sailed with the latches in place, I noticed on a few times ropes could get caught under the end. So I've now cut these short and rounded the ends, so hopefully any rope will slip out.